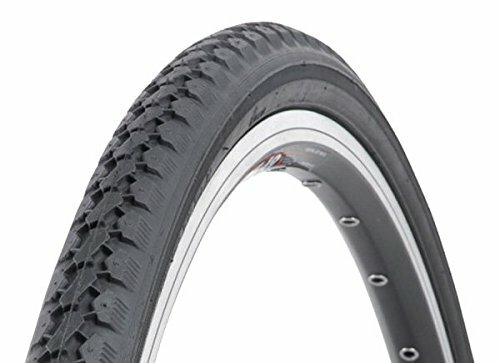 Tire sizing is very confusing. The best explanation is here on Sheldon Brown's site, though it doesn't make a complex system simple, because it can't. Briefly, even Europe used inches to describe tire sizes. The stupidity started when the size referred to the outside diameter of the inflated tire rather than the rim size. On a given rim, you can switch tires and get a much different diameter, so that's really dumb. Then eventually, the sizes we had referred to what USED TO BE the size of the tire. 700c and 29er both refer to rims with a bead seat diameter (BSD) of 622mm. That's weird because 700c is slightly smaller than 27" wheels with have a BSD of 630mm. And Europeans refer to 700c as 28", which, again, is smaller in actual size than 27". In England, there was a so-called 28" size whose BSD is 735mm, only slightly larger than 27" (630mm), and 5mm is nowhere near an inch. 700mm is kinda-sorta close to 27", so we have 700c, but 700a, 700b, and 700d are never used as designations. 650mm is kinda-sorta close to 26", and there are lots of 26" tires, some of which use a 650 designation, and this does not help! 650a has a BSD of 590mm, and this is what English 3-speed and many other bikes use. It's often called 26x1-3/8". Some other sizes are also called 26x1-3/8" which is enough to drive people mad. 650b is 584mm. 650c (with 571mm BSD) came into style a few years ago as narrow-tired racing bikes for shorter people. It was a good idea, but bike makers found it too expensive to have different sizes, so now shorter people have to go back to racing bikes with 700c wheels, even though the fit is not optimal. Then there is the MTB style 26" which is much smaller than all of the 650 designations, as the BSD is 559mm. Also, some inch sizes are expressed with decimal fractions and some with simple fractions. Do not interchange these with numeric equivalents, because types of fractions IMPLIES the BSD. So you can have 26x1.375" but that is not 26x1-3/8. A friend on bikeforums posted a public question: Why those particular bikes? In other words, what led to your selection of the bikes you have. Here is my answer. I call this my pride and joy, since it is so beautiful in every way, the ride, the workmanship, and the look. I bought it used at about a year old in 1983. I've had it longer than any of my other bikes. I originally equipped it with nearly all Campagnolo Nuovo Record components except for Super Record Cranks. I built the wheels myself, using Ambrosio Elite rims. This is a general purpose road racing bike, though I did take it on a four-night tour once with no difficulty. It offers capable handling at high speed. In about 1991, I had Peter Weigle repaint it and fit it with various brazed-on mounts. In recent years, I've replaced nearly everything with a Shimano 3x9 drivetrain. The bike is disappointingly heavy, though that doesn't detract from my enjoyment. Since the original owner told me he got it at a trade show, I wonder if the builder went cheap on tubes just to make a display frameset. The builder died at age 29, making my frameset a collector's item. I had heard a lot about this frameset, so I wanted one badly. I waited until I could find one at a good price. I've built it as an all-purpose bike without much mind towards æsthetics. It has a 3x10 drivetrain, mustache handlebars, dynamo-powered lighting, and a front rack. I've commuted on it, taken fun rides on it, and I could do overnight tours on it. It's everything I had hoped it would be. I have 32mm tires on it, and I hope I can keep them when I eventually put fenders on it. I picked this out of the trash on bulk pickup day! I've rebuilt it many times. I consider it my testbed bike. The finish on the frameset is a shambles, and I'll probably remedy that one day. I've toured on it, commuted on it, shopped on it, and taken fun rides. It's not super light, but it climbs great for some reason. I'm about to rebuild it with a modern drivetrain. Lately, I ride gravel carriage roads on it. I built the current wheels way back in 1983. Often when I ride this bike, I tell myself that it's my favorite. It was never an expensive bike, but it rides almost better than it deserves to. This is a go-fast bike if ever there was one. Weight is 20 pounds or maybe a hair under. The lightness encourages me to pedal hard, and if it isn't much more energy efficient than my other bikes, my times on it are still very low because riding it hard is so rewarding. I built the wheels myself and aimed to keep them fairly light without being too expensive. I have 23 or 25 mm tires on it. I'm pretty sure it can't take wider tires. I was racing at Kissena Velodrome in the summer of 2014. I already had a track racing bike, but when this came around, I couldn't resist. The difference in handling between the previous bike, a Leader, and the Raleigh, is pronounced. Clearly, Raleigh knew what they were doing. I've always had an affection for English three-speeds, and it is strongest for the Rudge. I got this, along with a lady's Robin Hood, at an estate sale. I paid a mere $30 for the pair of bikes. I don't like to ride this bike any distance, but it always puts a smile on my face. A friend offered this to me at a very low price. It's far from a performance bike, but the wide tires and upright handlebars are probably an advantage for me. I had difficulty managing a tandem bike in the first place, and when the bike has drop handlebars, I'm on the verge of dropping the bike, so this might be the perfect tandem for my wife and me. We've been riding it for about three years now and are still getting the hang of it. The longest we've ridden it in a day is 36 miles on a flat rail trail. I hope to take it further, eventually, especially on overnight tours. My idea behind a tandem is, having more stamina on a bike than my wife does, we can go longer distances than she can on a single bike. That hasn't come true yet, but I hold out hope that practice will get us there. When I was a teenager, I wanted a Viscount. They were light bikes at the time. The marketing hype had me see them as fancier than they really were. A friend offered this to me. I lightened further it by removing the rear brake and derailleur drivetrain. First, I used a three-speed fixed gear hub, as a fun experiment. I didn't like that, so I replaced it with a traditional fixed gear hub. The bike weighs about 23 pounds. It's fun to bop around town on this thing. Riding fixed gear isn't a way of life for me as it is for some, but I enjoy it from time to time. This is a popular project bike. It's my second Twenty. I still don't enjoy riding it, so I'll sell it. I bought this used to reap the components off it, but a friend convinced me to keep it, expecting I would like it. I do like it, and I equipped it to be a do-everything bike, with rack, fenders, and dynamo lights. I'll be selling it now, as I prefer my International, which is also lighter. 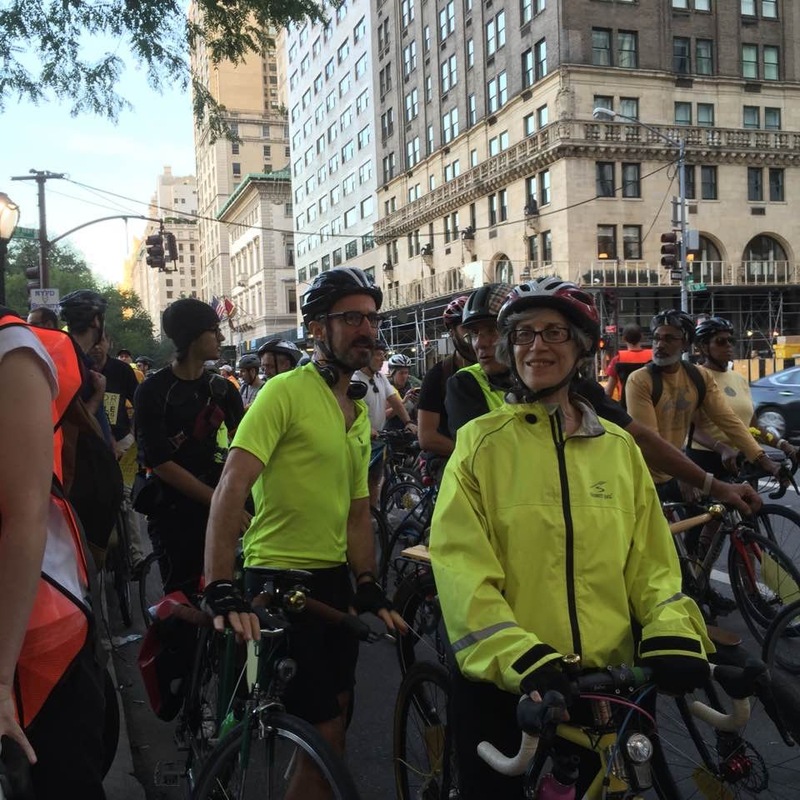 On September 15, I rode to midtown Manhattan to gather for a mass bike ride. It is to protest the dangerous street conditions in New York. There have been more cyclists killed in the 2016 calendar year than there were in the 2015 calendar year, and this year is only nine months old. This is in the context of our mayor's program called Vision Zero where we are supposed to be working towards zero deaths by vehicle collisions. We are getting farther, not closer. I joined 1,000 of my closest friends, and most of us wore yellow. Many of us wore yellow flowers. My friend had the biggest yellow flowers of all and needed a trailer to carry them. We gathered and started at 5th Ave and 59th St. There were many police motorcycle escorts there, and I didn't see them after the ride took off. Generally speaking, I think the police of New York absolutely shine when covering events that bring large crowds. It's what they do best. I can't say they did well or badly, as I just didn't see them. The ride completely occupied all lanes of the very wide avenue. As we passed through intersections, we made lots of noise with our bells and horns. Some carried large banners with statistics such as how many people died in the streets in recent years. There was someone from the ride at each intersection, standing in front of the vehicles waiting to cross the avenue. There was a lot of honking from the motor vehicles. They were made to wait a long time. How long does it take a thousand cyclists pass a given point when there are three traffic lanes for them? I don't know. Pedestrians also had difficulty crossing the avenue, and some of them expressed anger over that. We ended at Washington Square Park, and there was a rally with a speaker with a megaphone. But it wasn't loud enough to hear. Bad planning, in my view. It was more of a kilophone or maybe even just a hectophone. From there, I went home which is close to the park. I'm glad we made our issue known to some. We are sending a thousand yellow postcards to the mayor telling him we want action. A lot of people want more protected bike lanes, and I think they're OK in some places, and I think they do more harm than good at some times and places. I'd like more enforcement of existing laws. I'd like a law like they have in the Netherlands where the motor vehicle is presumed to be guilty if there is a collision. This causes them to drive extremely cautiously. If a pedestrian or cyclist stupidly cuts off a motor vehicle driver when he (the pedestrian or cyclist) doesn't have right of way, the motor driver still does whatever he can to avoid the collision, because he may be found at fault. Currently, as things are here, if you get hit and injured or killed, law enforcement looks at it as something that just happens that we just have to accept. I'd like that to change. But was this a good way to bring about change? We cyclist don't like the way some people drive, but it's also true that some motorists and pedestrians don't like the way cyclists drive. Wouldn't it have been better if we had let cross traffic move at the normal times? I'm fine with slowing down the avenue and making the other vehicles wait behind us, but I think getting people angry isn't a good way to get them to support the cause. My wife met me here, and here is a picture of us. Car drivers/riders, please check behind you before you open a car door. You could seriously hurt a cyclist. Bicycle drivers, please don't move through the door zone. Even though the car user is violating a law when they open a door in front of you, it's a risk you do not need to take, for your safety or to comply with laws. The law does not compel a cyclist to stay so far right as to be in the door zone, and it's not a good idea in any case. The problem is that many cyclists do not obey any rules at all. Like going with traffic, not against it. Or staying on the road, sidewalks are for pedestrians. That's not the problem, but it is a problem. I try to be a role model, and I ride in traffic in the way I think everyone should. I don't startle anyone, and I don't impede anyone. I try to predict how everyone else is going to behave, and I try to ride predictably so anyone concerned knows what I'm doing and what I'm about to do. 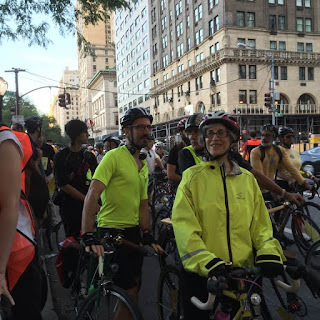 Even with the bad cyclists -- and there are too many of them --, it seems to me that as more people get onto bikes each year, it is not becoming more unsafe for pedestrians or motorists or subway riders. A lot of the new riders are the type of people with less nerve than the previous waves. They are starting to ride because they previously would not have felt safe in traffic. A lot of these new riders stop at red lights. I stand and wait next to them on 8th Ave. I should tell you that I have been a bike advocate for a long time. I have ridden in many places, and I currently ride 2,000 miles a year. I know what works and what doesn't, and I know what will work. I have taught people how to ride in traffic so that they and people nearby are safe and comfortable. It's a practical way to get places, and it's a reasonable decision to make to ride a bike in NYC and many other places. I don't know about Fairlawn, as I haven't been there in a while. I did some bike and education in Maplewood when I lived there. What is my bike commute like? Someone on bikeforums asked whoever would answer what our commutes are like. He asked about terrain, length, clothing, time constraints. Here is the response I wrote. 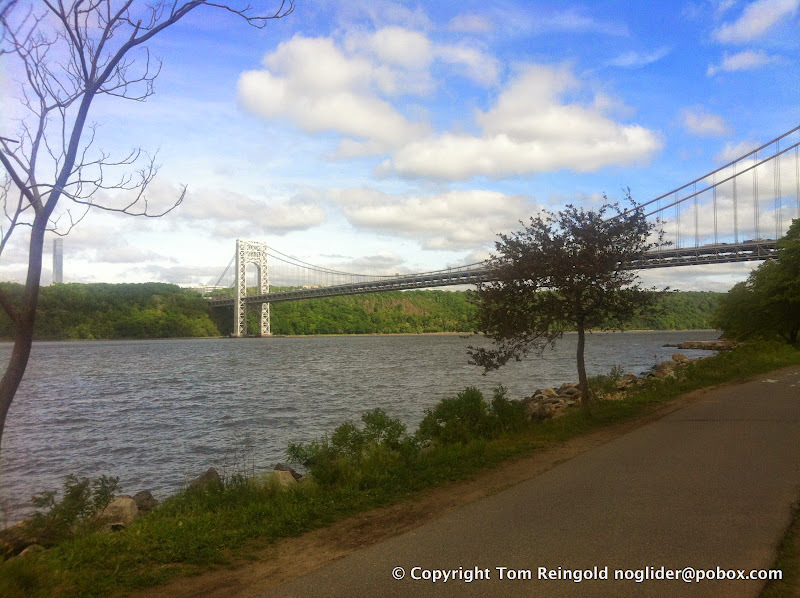 I commute from near the southern end of Manhattan (south of 14th St), to the northern end and beyond into the Bronx. I work at 238th St. In NYC, 20 blocks is one mile. The total distance is 13 or 14 miles, depending on the route I choose. It's a very urban commute, but I'm very lucky, because most of it is along the Hudson River Greenway, the US's most heavily used bike commuting route. I don't know how many cyclists I pass, but it's several hundred. 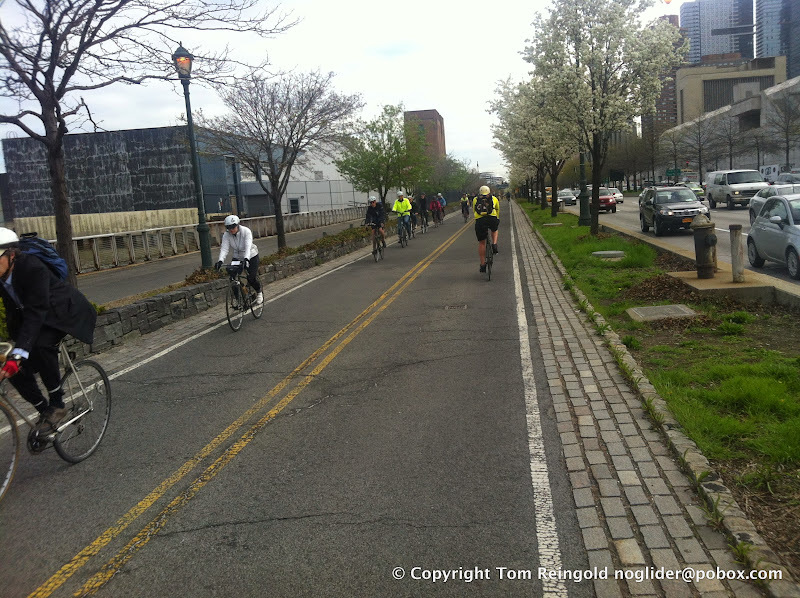 After 125th St, there aren't as many bike commuters, and very few are going in my direction. The route is mostly flat, as it's along the river, on a part of the island that is landfill. It is also a pretty noisy route, as it is almost completely next to a highway. Headwinds in the morning can be very strong. Towards the end of the route, I hit a killer hill and then some lesser hills. The killer hill isn't long, but it's steep. The last couple of miles is in motor vehicle traffic. Most of you all would call it heavy traffic, and it is, but it's a lot lighter than it is in Midtown Manhattan, where it is insane beyond belief. Thank goodness I don't have to ride in Midtown often. The route is terribly scenic. The Hudson River is over a mile wide. 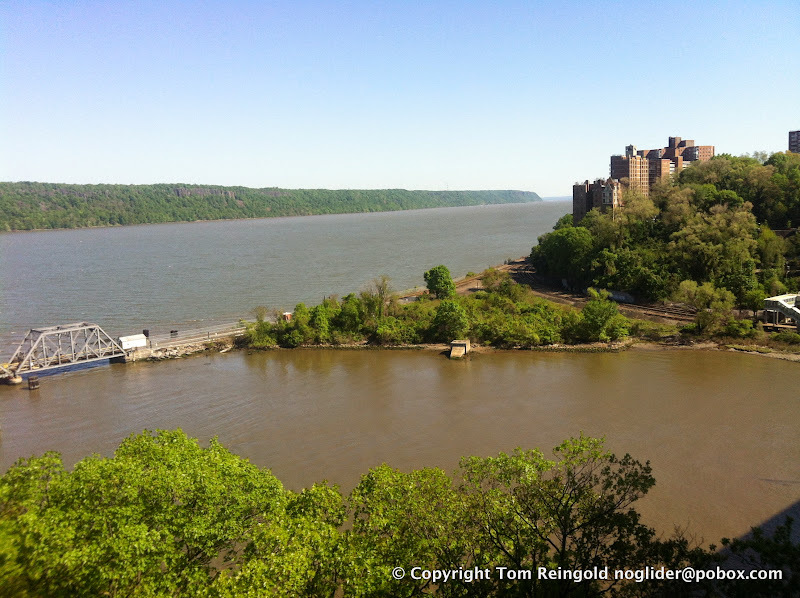 New Jersey is on the other side, with cliffs facing the river. Also along the path are some very good looking people riding their bikes and jogging, so that's another kind of pleasant scenery. If I'm lucky, on my ride home, the wind hasn't shifted to become a headwind. It happens sometimes. Usually the direction is the same but the intensity is less, so I don't get as much of a boost going home as a challenge I have in the mornings. In the winter, the riverside is colder than the rest of the city, and boy, is it cold and windy. I'm going to try riding in heavy boots this winter. I'm supposed to be dressed somewhat conservatively at work. Jeans are officially not allowed but are tolerated. I don't care, as I don't like jeans any more. Men aren't supposed to wear sandals, which I think is dumb, but those are the rules. Polo shirts are OK, and they are my favorite type of shirt. I usually wear my work clothes on the bike. Sometimes I'll ride in wearing shorts, and I'll change upon arrival. When I ride, I usually wear sneakers with SPD cleats on them. I don't know if they are allowed, but no one has complained. My kids are adults, and my wife often works in the evenings, so I often have no reason to rush home. I ride my bike to work about two days a week. The other three or so days I take the subway, which has its upsides. It is relaxed. I'm headed against traffic, so it's not terribly crowded. I get to read. The subway ride takes the same amount of time as the bike ride, so my decision of which mode to use isn't based on time. I also get to look at all the different people, which I enjoy. New York is a great city for people watching. I think I might see a thousand faces in a day. Stop and think about that. How many faces do you see in a day?